All our dogs get plenty of exercise. 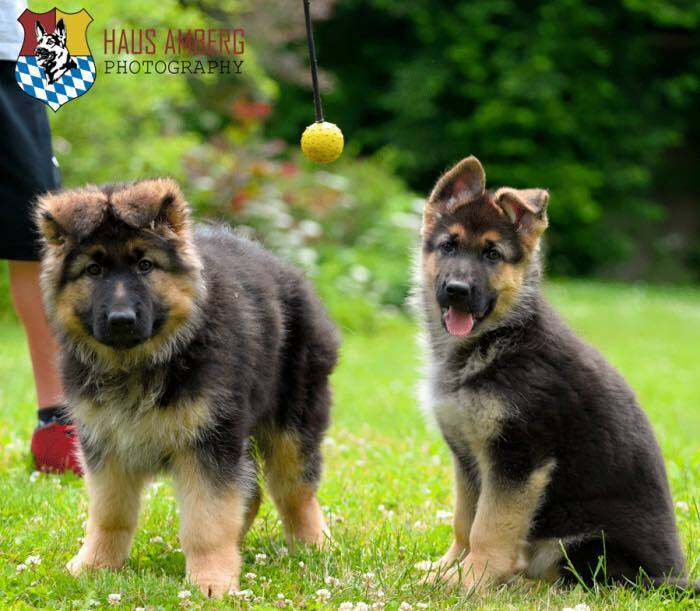 Lundborg-Land is a breeder of top quality Schutzhund German Shepherd Dogs. 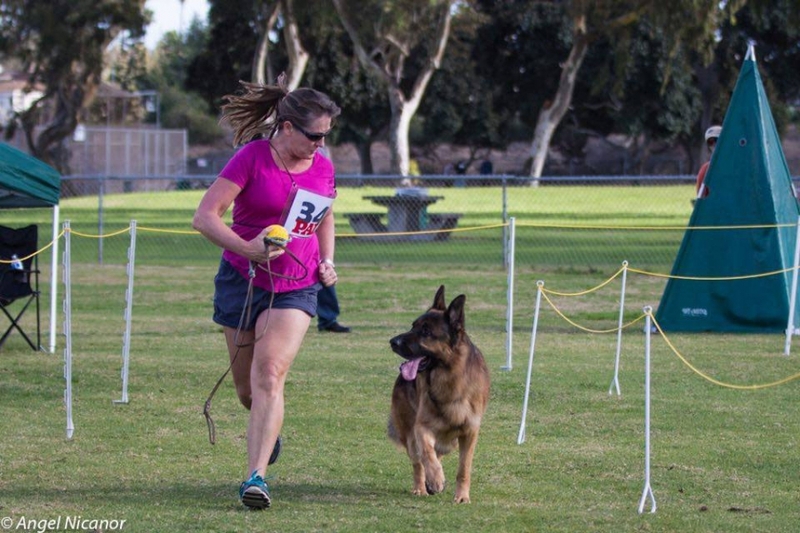 Our kennels are located in sunny southern California. These spacious kennels provide a great environment for our dogs. When you purchase from us you can be assured of the highest quality and good temperament. Many years of breeding experience has gone into the development and selection of your dog or puppy. The Perfect German Shepherd Dog for Both Work and Play! 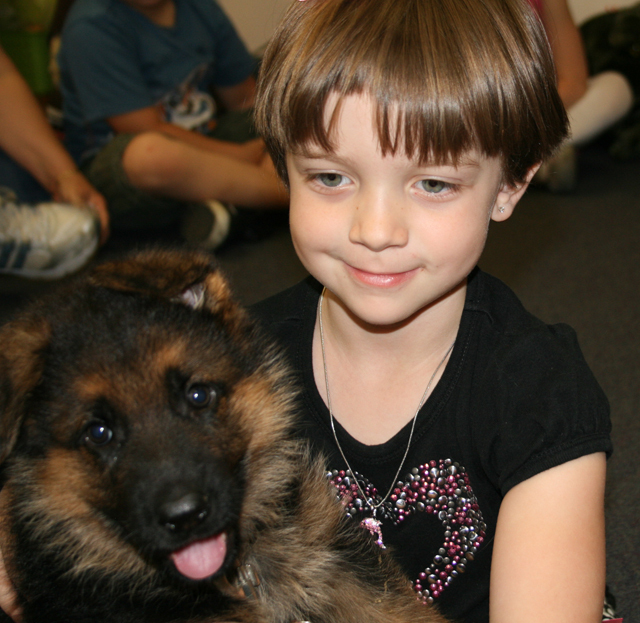 The blood lines we have at our California kennels exemplify our choice for the perfect German Shepherd dog. The best dog for work and play. 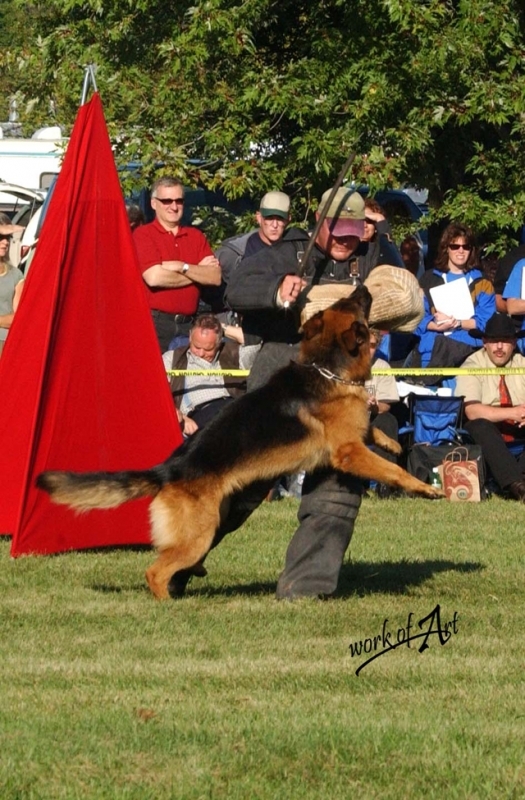 We breed the German “SV” way with mostly Schutzhund titled, hip certified Dogs. Ken is one of our top VA studs. 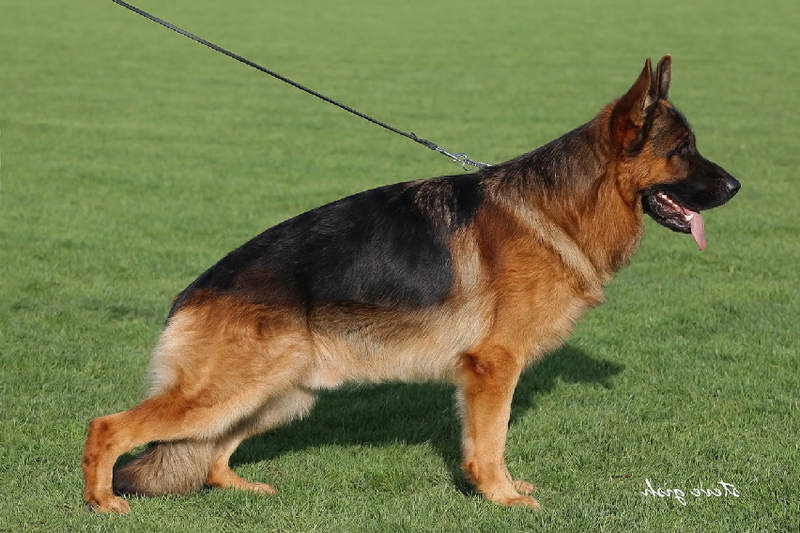 A fantastic Lundborg-Land German Shepherd stud. He is a producer of show and work quality dogs & puppies. Ken has won many awards and is very well known. Check out Ken vom Team Baierblick’s personal page here. Come visit Lundborg-Land and see for yourself! You are welcome to visit our kennels any time. Just give us a call and make an appointment. You will be greeted by Linda Lundborg, owner operator. Take the grand tour of our facilities. Meeting our dogs and talking to Linda is the best way to know what dog is best for you. Linda will personally guide you through the steps of picking out your dog. Just be prepared to fall in love with that perfect puppy! We ship to our customers world wide so we can service your needs no matter where you are located.